Length of largest span: 128.9 ft.
January 14, 2010: Updated by Robert Elder: Edited Builders. So urban, and more than a buggy road. That makes sense. 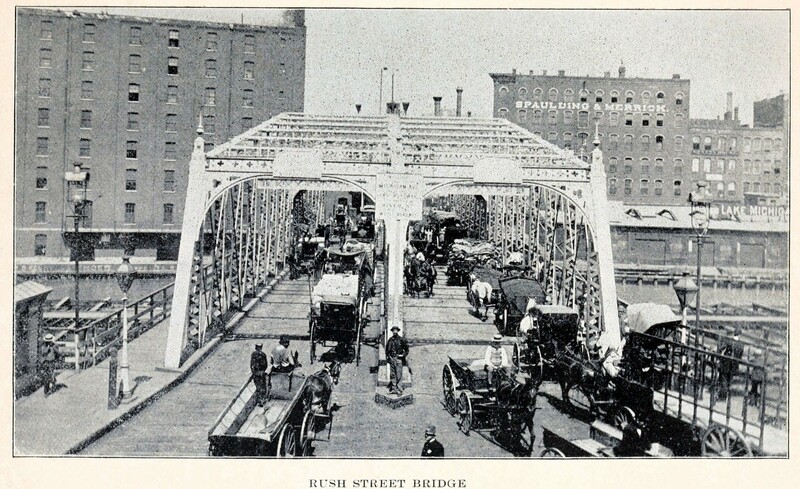 The bridge was originally built on La Salle Street and was a major crossing at the time for South Bend. The roadway is 19.4 feet on this bridge. Widths of this size, were common for bridges in urban locations in the 19th Century. The reason it stands out today, is because most bridges from this era that were built in urban locations have been demolished and replaced long ago (because urban bridges faced heavier traffic and wear and tear and needed to be replaced sooner). As a result, most 19th Century bridges today are rural bridges which typically had 11-16 foot roadways. Any thoughts on why a "buggy bridge" is so wide?